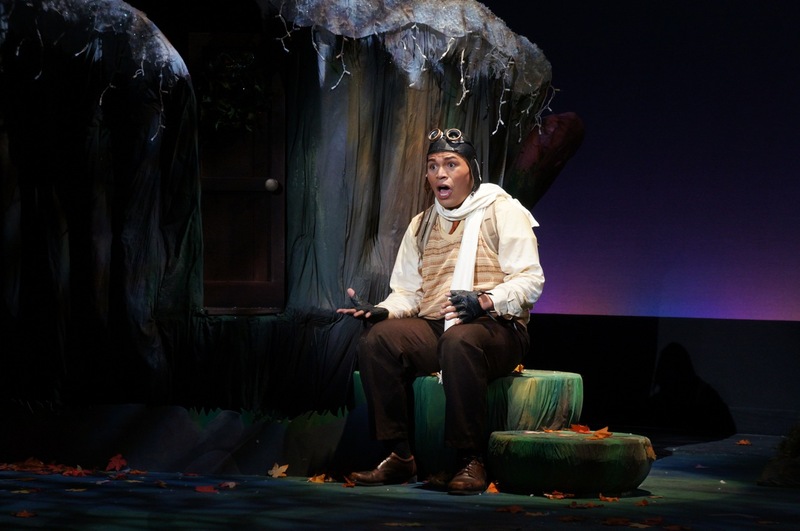 Fine Arts Center Blog: A YEAR WITH FROG & TOAD: Opening Night! A YEAR WITH FROG & TOAD: Opening Night! Well it's true folks... OPENING NIGHT is here! At last nights preview, while SNAIL (me) was unhurriedly running off stage after finally delivering the important letter that FROG wrote to TOAD a little boy in the audience yelled, "You can do it! Go faster Snail! Come on!" - I couldn't stop laughing! I remember seeing my first show, THE PHANTOM OF THE OPERA National Tour in the 5th grade at ASU's Gammage Auditorium in Tempe, Arizona. The show changed my life. I remember it like it was yesterday... when the Phantom (Rick Hilsabeck) started singing "Music of the Night" - I knew that's what I wanted to do. I wanted to tell incredible stories through performing. To this day... every time I open a show I think of little 5th grade me. The excitement I had before seeing my first show and how it affected me in a huge way. TONIGHT! I will do the same, but it means a lot more… for a lot of children this will be their first theatrical experience. There will probably be a little me sitting in the audience and he'll most likely get the same feeling that I got when I saw my first show. I look forward to giving back and I can't wait to share the magic of theatre with the audiences of Colorado Springs!